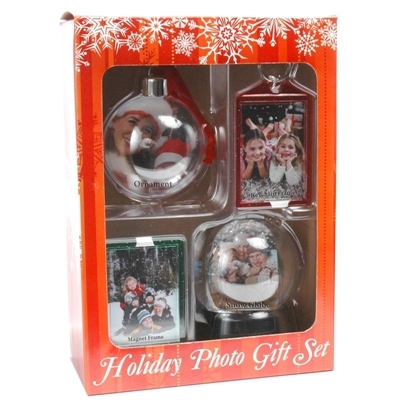 Receive this package with 4 popular Holiday photo items. 1 - Plastic Ornament Photo Ball holds 2 7/8'' photo. 1 - Red Snap-in Photo Keychain 2'' x 2 7/8'' photo. 1 - Green Snap-in Photo Magnet 2'' x 2 7/8'' photo. 1 - Mini Photo Snow Globe 1 5/8'' x 2 1/2'' photo. • Packed in an adorable seasonal package perfect for retail sales. • Get 4 photo holiday gifts at a special price. • Items in this pak can be purchased separately in full cases. 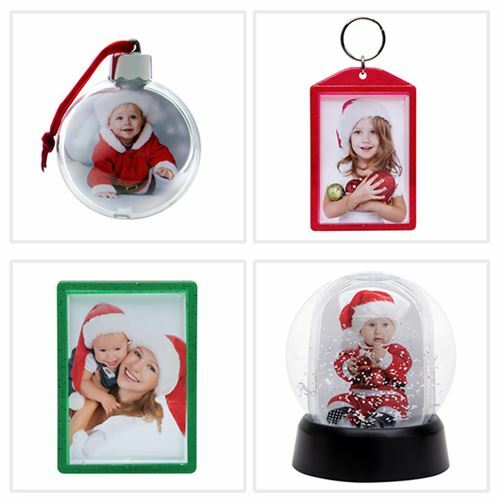 Receive a package of 4 popular Holiday photo items. 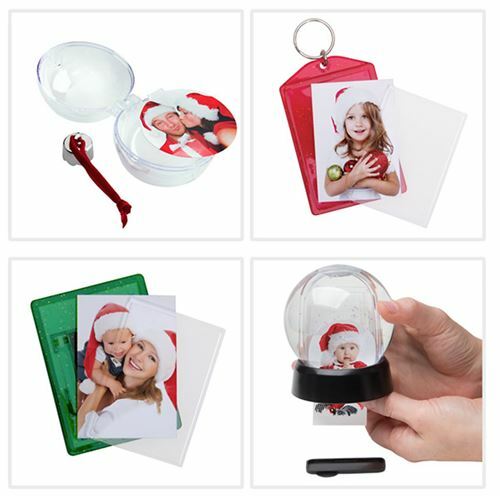 Plastic Ornament, Red Snap-in Photo Keychain, Photo Magnet, Mini Photo Snow Globe. Specially priced and perfect for retail sales.